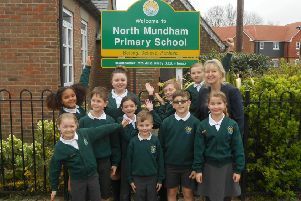 Young school children have teamed up with house builders to capture a special moment in time by burying a time capsule close to their school. Pre-Prep pupils and nursery goers from Westbourne House School were given the opportunity to capture life in 2019 at the nearby Shopwyke Lakes development in Chichester, on Tuesday, March 5. The children, aged from four to seven years old, were joined by their head teacher and members of the CALA Homes sales team to place items in the time capsule which will allow future generations to discover a glimpse into life in the city in 2019. After much discussion between the pupils the items placed in the capsule included thumb prints, drawings, information about the school, photographs, current newspapers and coins. Westbourne House’s Head of Pre-Prep and Nursery, said: “Our pupils worked closely together to decide what to put into the time capsule, taking care to think about what future children may be interested in looking at and reading about. 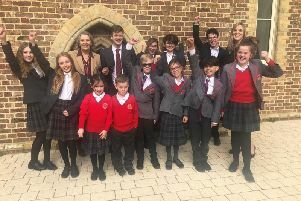 Sales and marketing director for CALA Homes, Nicki Dennis, added: “We were delighted to welcome pupils from Westbourne House School to take part in the time capsule project.